The United Nations Environment Assembly (UNEA) has adopted 2 resolutions piloted by India on single-use plastics and sustainable nitrogen management at the fourth session of the UNEA held in Nairobi. The theme of the fourth session of UNEA was Innovative Solutions for environmental challenges and sustainable production and consumption. UNEA was created in June 2012 during the United Nations Conference on Sustainable Development, also referred to as RIO+20. The decision to hold first joint military exercise of Shanghai Cooperation Organization, Sary-Arka-Antiterror 2019 in Sary Arka region of Kazakhstan was announced during the 34th meeting of the RATS council held in Tashkent, Uzbekistan. The meeting also announced the holding of the first joint border operation Solidarity 2019-2021. The Regional Anti-Terrorist Structure (RATS) of the SCO was established in June 2004. Indian Writer Raghu Karnad has won the $165,000 Windham-Campbell Prize in the non-fiction category for his debut book, The Farthest Field: An Indian Story of the Second World War. 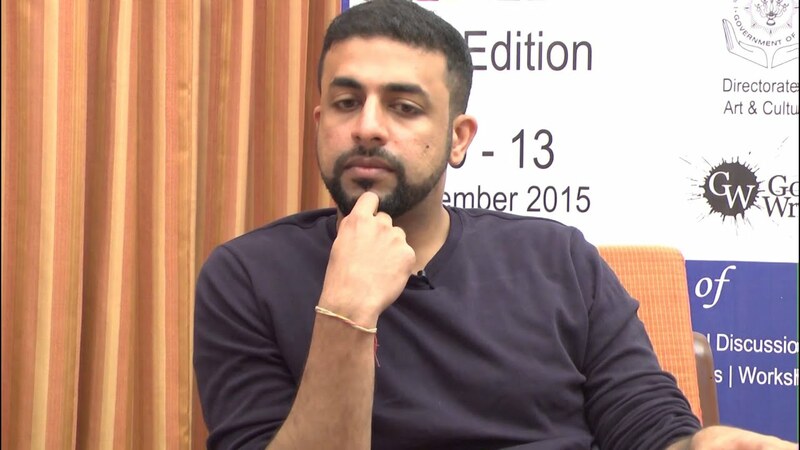 Raghu Karnad is the second Indian to receive the award. Earlier in 2016, Jerry Pinto had won the award for his novel, Em And The Big Hoom. Established in 2013, The Windham-Campbell Prize is administered by the Beinecke Rare Book and Manuscript Library at Yale University in the US. India’s largest Bank State Bank of India (SBI) has announced the launch of YONO Cash through which customers can withdraw money from ATMs without using a card. This Cardless Cash Withdrawal process works with two-factor authentication and eliminates the risk of skimming and cloning. ATMs enabled with this service will be termed as Yono Cash Point. Jammu and Kashmir’s Chief Postmaster General released a ‘special stamp cover on Ice Stupa’ of the Indian Department of Post on March 18, 2019 at the Ice Stupa site at Gangles Village in Leh. The special stamps aim to create awareness about depleting glaciers and affect the ecology around the Himalayas. Ice Stupas also known as artificial glaciers, has the capacity to store at least 30-50 lakh litres of water. The 3rd Indo-Japan Workshop on Disaster Risk Reduction was held in New Delhi with an objective of enhancing collaboration between research institutes, cities and the private sector in the field of Disaster Risk Reduction. India and Japan had signed a Memorandum of Cooperation (MoC) in the field of Disaster Risk Reduction (DRR) in September 2017. 1st & 2nd Indo-Japan Workshop on DRR were held respectively in New Delhi and Tokyo. The Global Recycling Day was observed globally on March 18, 2019 with the theme ‘Recycling into the Future’ to help recognise, and celebrate the importance recycling plays in preserving the precious primary resources. The Day was organised by the Global Recycling Foundation that was established in October 2018 after the success of the first Global Recycling Day. 1. In which year UNEA was created? 2. When was Regional Anti-Terrorist Structure of the SCO established? 3. When was The Windham-Campbell Prize established? 4. What is the app launched by SBI for card less cash withdrawal from ATMs? 5. The 3rd Indo-_________ Workshop on Disaster Risk Reduction was held in New Delhi recently. 6. On which day Global Recycling Day is observed globally?